Pena Beach Press, 9780983440703, 234pp. Tucker Lee Anderson's boss needs him to check out a story over on the beachside. Not earth- shattering, it's more of a follow up to the Ed Ventara case, he says. When Anderson, a staff reporter for a local Southern newspaper hears this, a red light goes off in his head. But wait, wasn't Ventara the serial killer convicted of killing five children, even though they only found four bodies a few years back? Following the discovery of a child's skeleton, what at first appears to be a straightforward case of suspected murder is anything but, when Anderson finds himself not only investigating the case, but also dabbling in ancestral research. This laid-back divorced dad's ordinary life soon takes a turn when in the process, he soon discovers family ties that bind him to both the present and the past-but what does this have to do with the child? 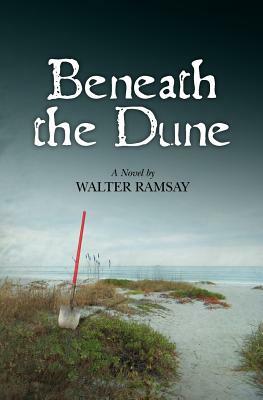 Set in the Central Florida community of Brevard County, Beneath the Dune features an interesting cast of characters, and what Anderson uncovers is bound to shock a few upper class residents to the core. Steeped in suspense and blended with humor, the book has all the ingredients necessary for the making of mystery that is sure to hold you in its grip to the very end. As a long time teacher and coach at Central Regional High School in New Jersey, Walter praises public education and the dynamic students it produces. When not at the Jersey Shore, Walter is a part time resident of the Central Florida coast. He became enamored with the beauty, culture, and people of this pristine area over 30 years ago, and still can't get enough. He has vigilantly taken the time to delve into the history of this beautiful coast line and incorporated that background into his writings. Walter spent much of his earlier years traveling the Florida coast from Saint Augustine to Key West from his father's home in Daytona Beach. When not working on his next novel, Coastal Access, Walter enjoys reading as well as outdoor activities that include surfing and jogging. Walter is married to the former Michele Lee Sperber, and along with his children, they look forward to splitting their time between their homes at the Jersey Shore and Brevard County Florida.